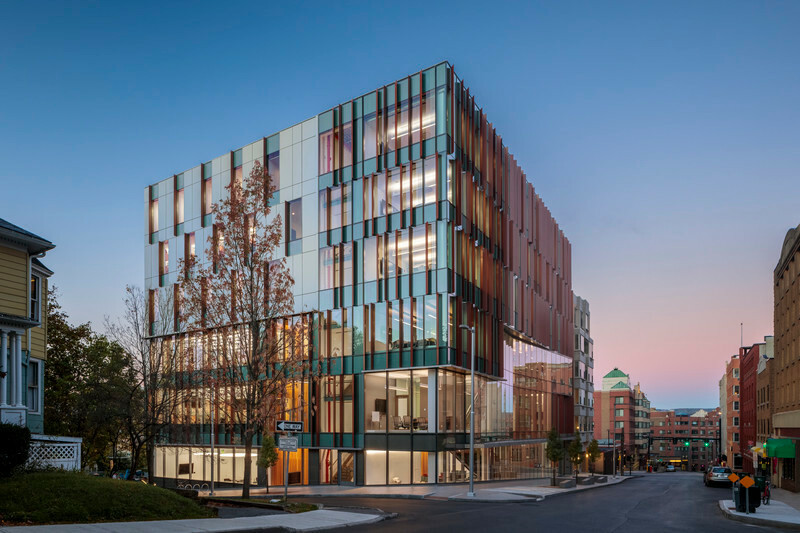 Montreal, Canada, 2011-09-19 - Fournier, Gersovitz, Moss, Drolet et associés architectes (FGMDA) designed the new Community Science Centre at Université Laval’s Centre d’études nordiques (CEN) in Whapmagoostui-Kuujjuarapik. 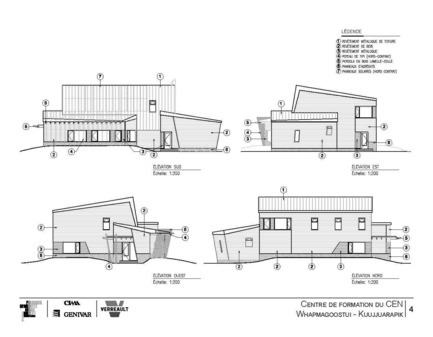 The centre, devoted to scientific research and exchange of traditional knowledge, is not the first large-scale green project in Nunavik for FGMDA, which has worked for more than 30 years in the Far North in collaboration with local populations. 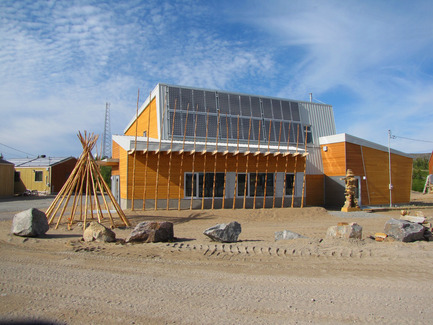 A research station built in the early 1980s, Whapmagoostui-Kuujjuarapik is the main research infrastructure used by the CEN to study northern geosystems and ecosystems. 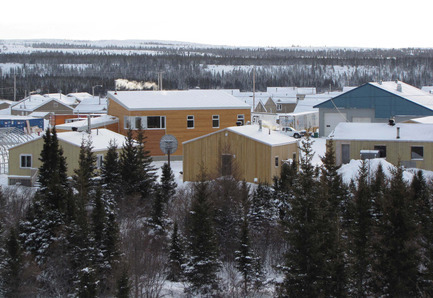 Every year, this crossroads for the research network hosts researchers and students from Quebec, Canada, and abroad in a village on the dividing line between the taiga and the tundra, at the confluence of James Bay and Hudson Bay. 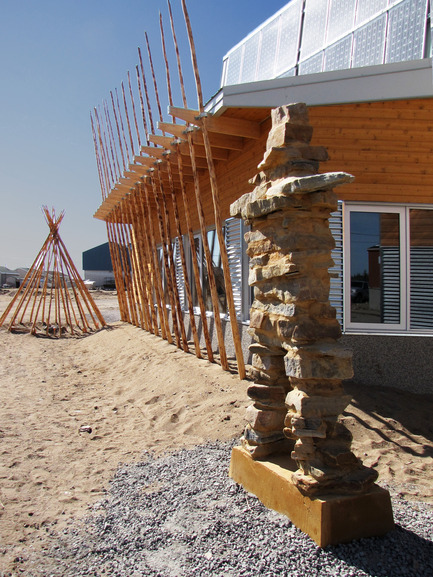 Forming the western gateway to Nunavik, Whapmagoostui-Kuujjuarapik is home to a bicultural – Cree and Inuit – community. 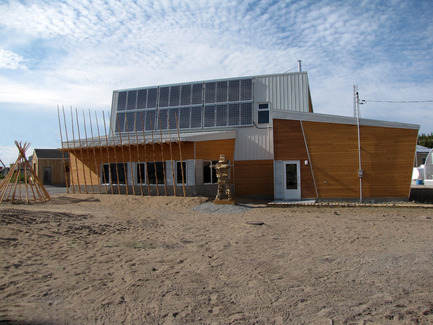 The Community Science Centre must thus meet the expectations of both scientists and people in the two local communities, and it has two objectives: international visibility and openness to these communities. 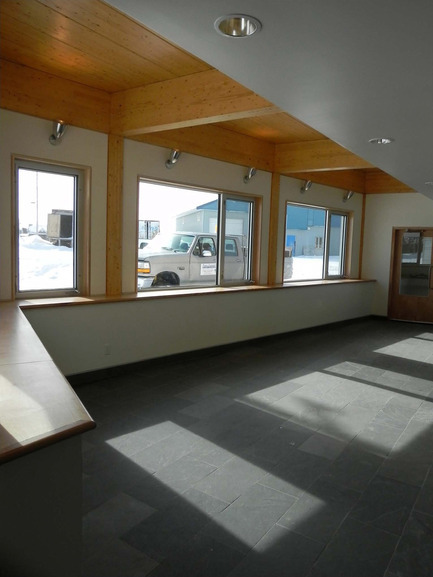 The Community Science Centre plays a key role in development of the station but also in the station’s opening to local communities, which are participating fully in the project. 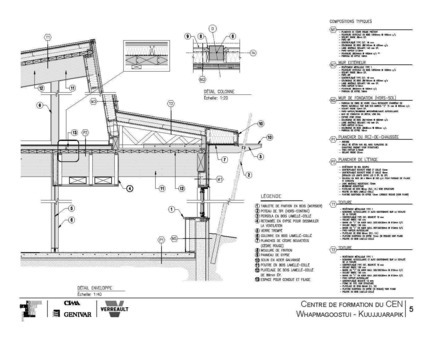 “It’s a first,” in the view of Mr. Fournier, the firm’s architect supervising the project. 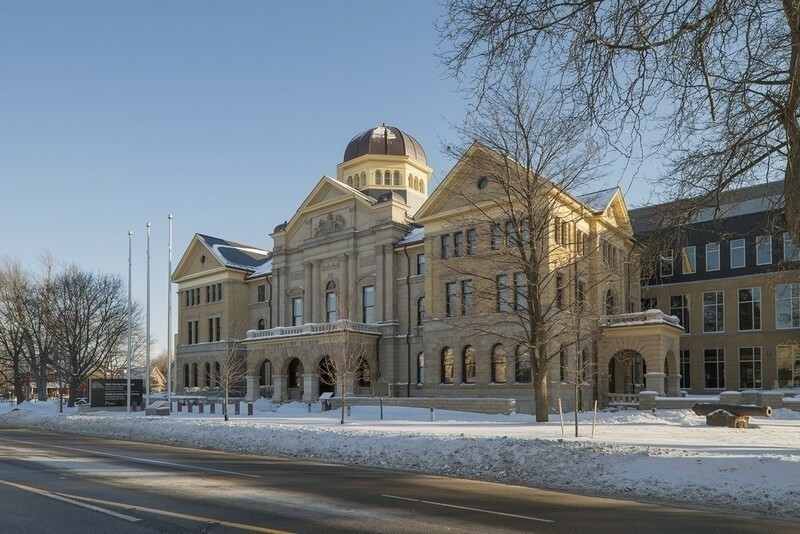 In fact, although a number of gestures had been made in the past, the community’s involvement has never before been so complete. 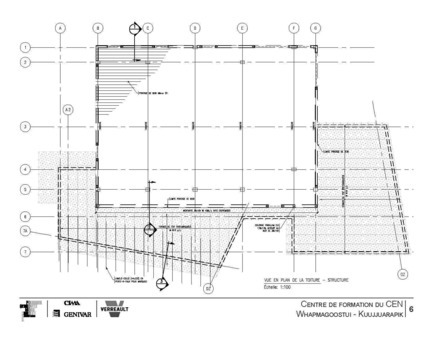 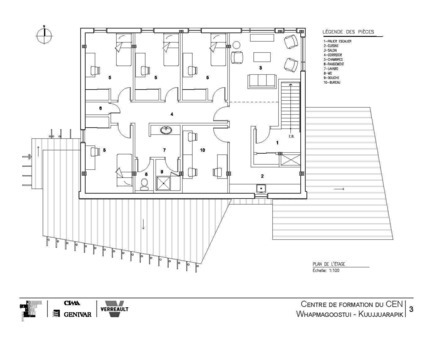 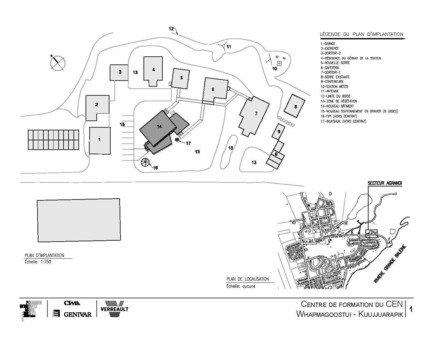 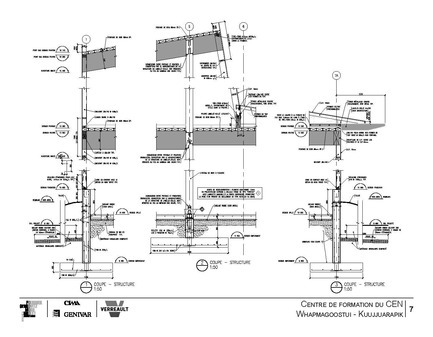 Before construction began, consultations brought together architects, the centre’s director, and members of the Cree and Inuit communities to gather comments, impressions, and expectations about the new building and ensure that they would later contribute to the very framework of the building. 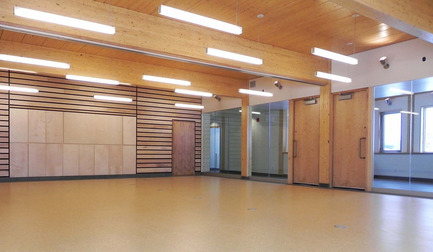 Although historically, researchers are reputed to stay at a distance from Aboriginals, the CEN and the project team planned the building’s architecture, orientation, and architectural expression so that the local population would feel welcome to enter the building. 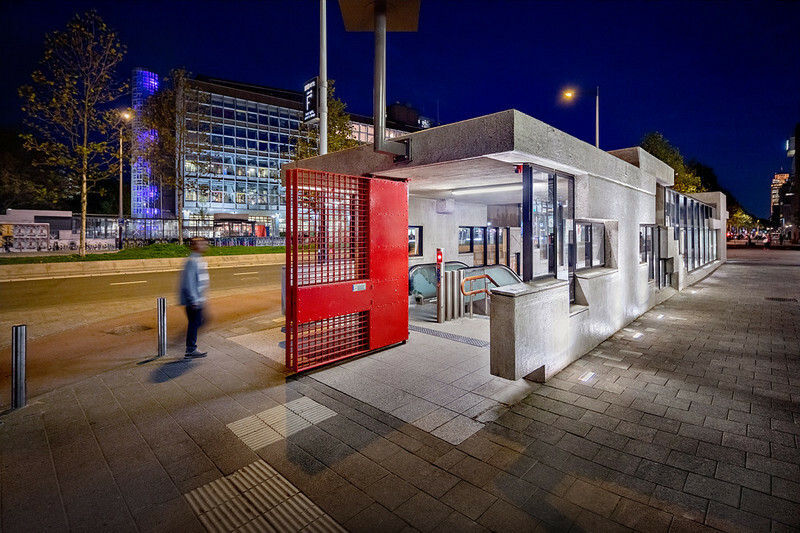 Furthermore, it benefits from an ideal location at the very centre of the semicircle formed by the station’s seven other buildings. 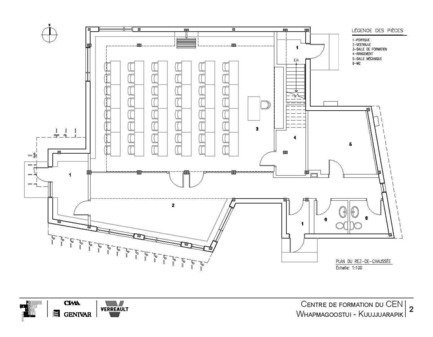 For the same reason, a hall was designed specifically to host school groups of all levels for teaching activities and popularization of science; the hall will also display a permanent exhibition describing the territory’s cultural and scientific history. 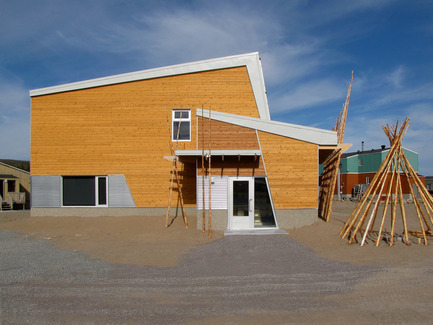 Finally, it was also essential that the building’s overall architecture reflect the Inuit and Cree cultures. 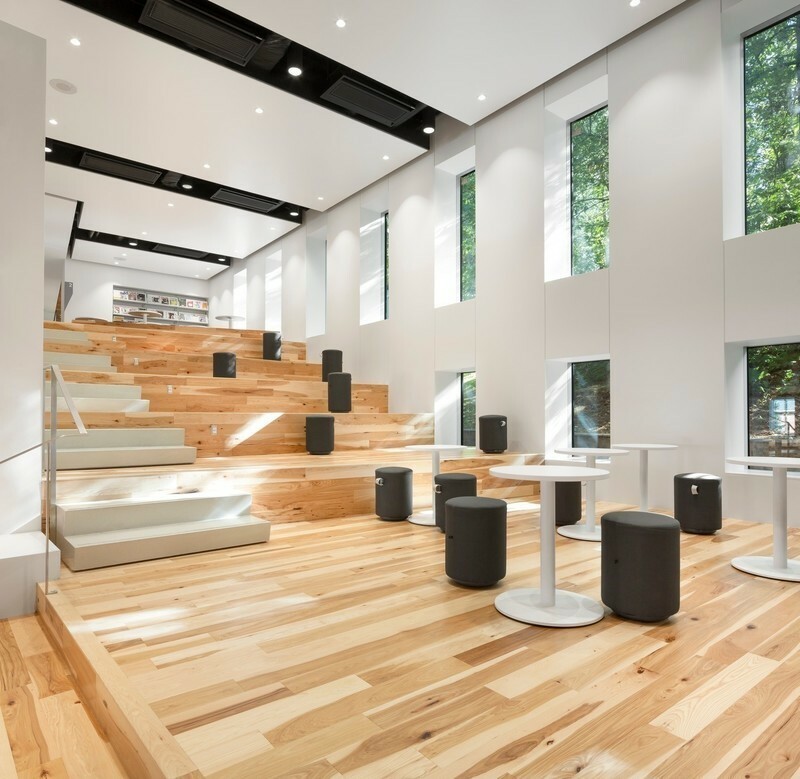 Reaching out to the material culture of both communities made it possible to have them rub shoulder comfortably within a single building. 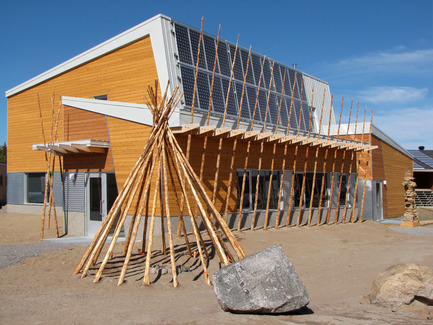 Whereas the main roof alludes to the scientists’ traditional field tents, the poles that adorn the façade and the tepee structure at the entrance are a tribute to Cree culture. 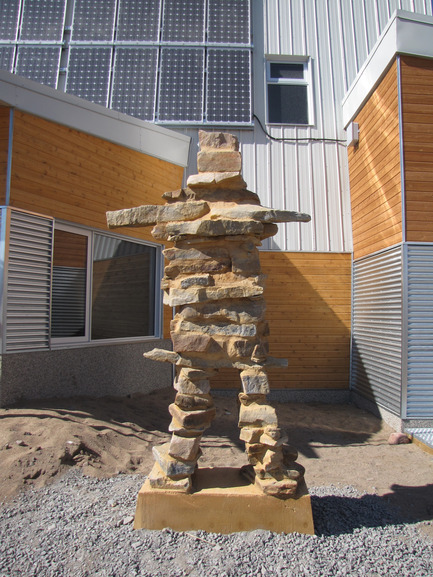 These elements, fully integrated with the building are a nod to Cree ingenuity and to the nickname “tent people” given by local people to the researchers who pitch their tents on the land in the summer. 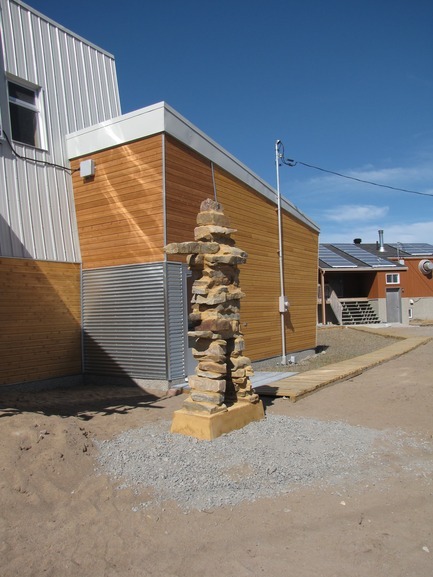 An inukshuk (traditional spatial reference marker) has been built and integrated outside the centre to pay tribute to the Inuit community and highlight local cultural symbols and references. 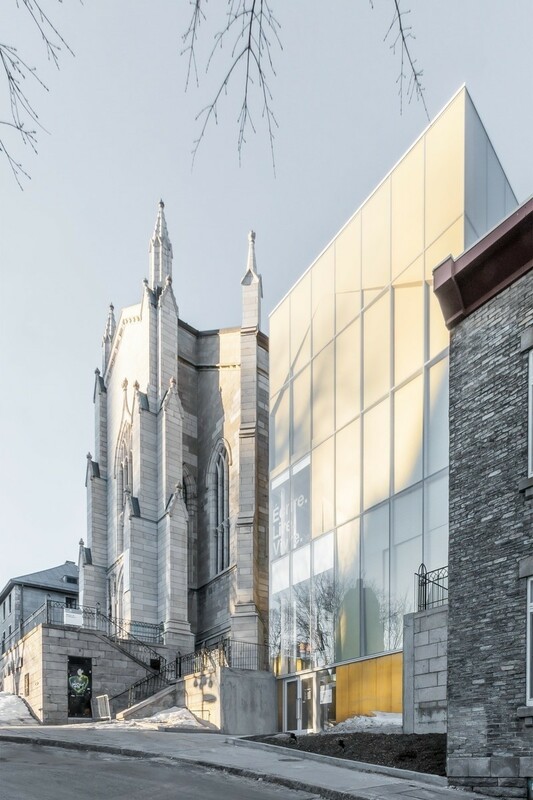 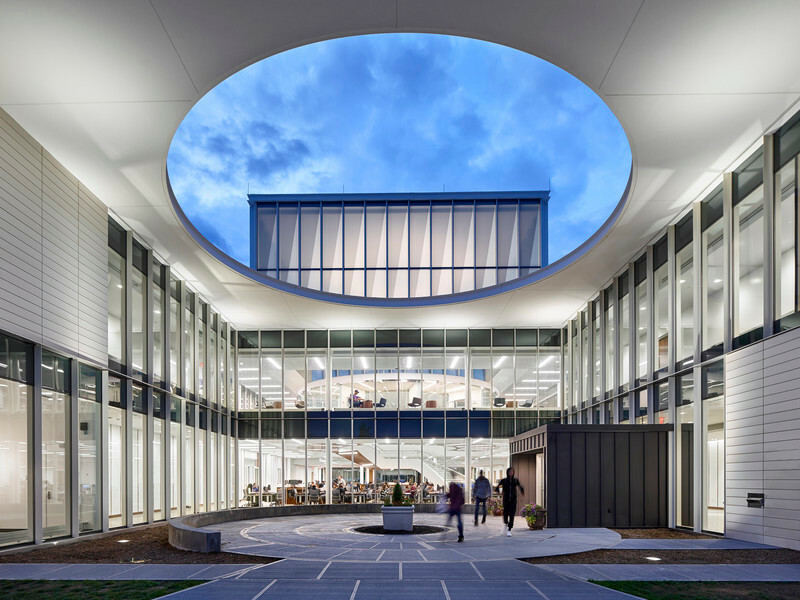 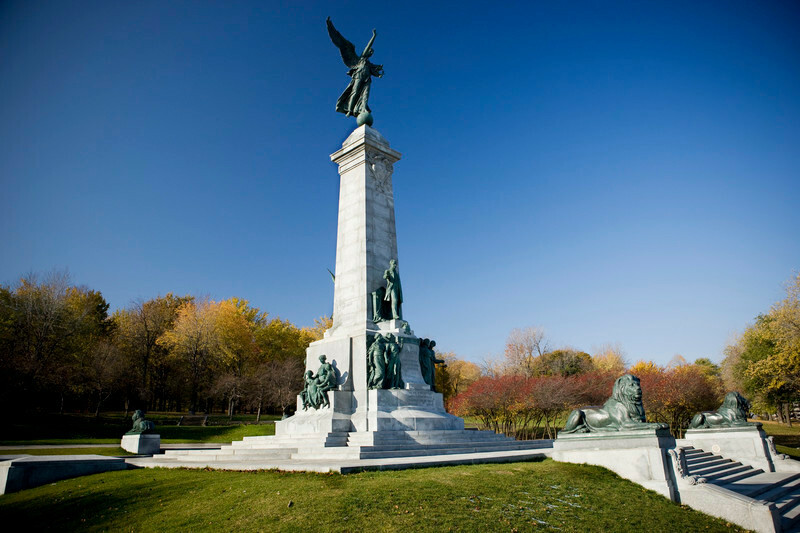 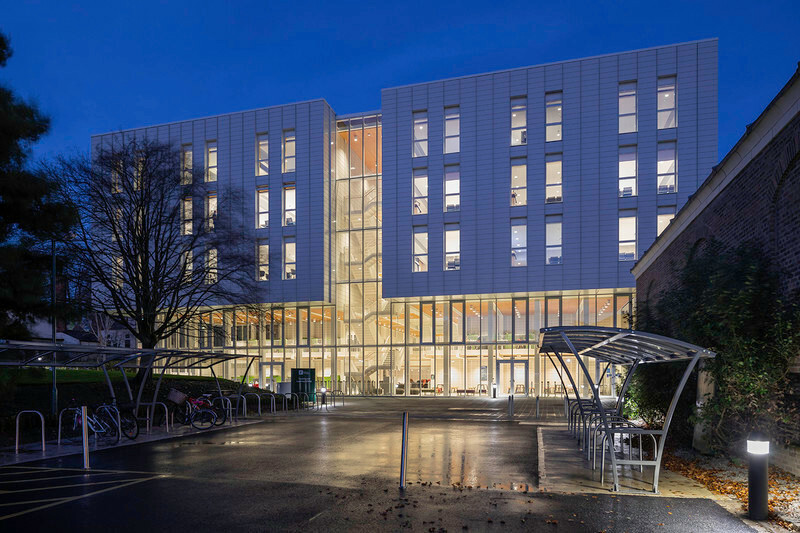 Moreover, as it is its custom, in making its architectural choices the firm encouraged the use of local labour and regional companies, using local natural resources and thus stimulating the regional economy. 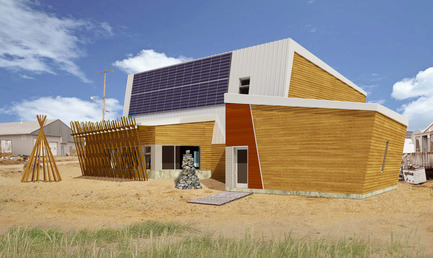 Sustainable development and conservation of nature are not new practices, especially in a hostile northern environment devoid of resources and fragile. 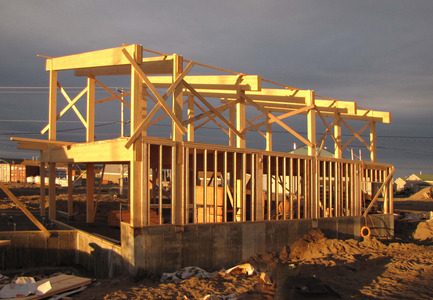 Transportation of materials is difficult, the construction season is short, and climatic constraints impose specific logistical solutions. 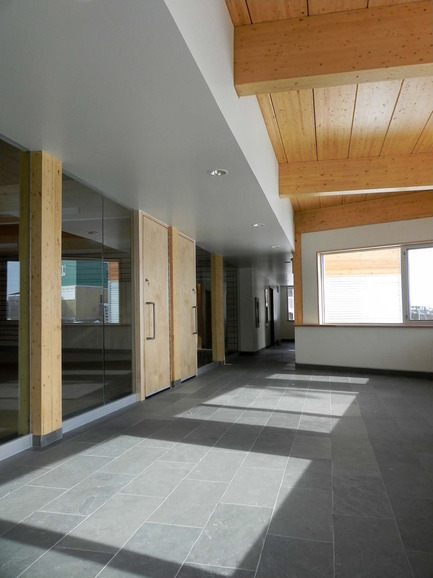 Well versed in construction in northern regions, FGMDA designed an efficient building that respects the environment and reduces energy consumption thanks to passive solar heating, abundant south-facing fenestration, floors used as thermal mass, and integration of photovoltaic cells. 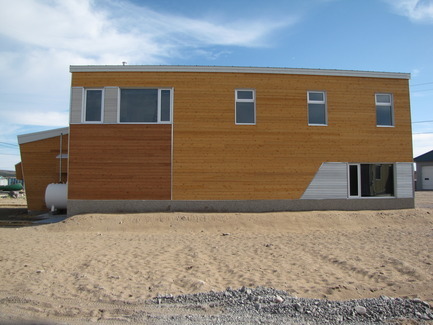 An exterior envelope presenting high levels of thermal resistance and airtightness is essential when temperatures drop below 40°C. 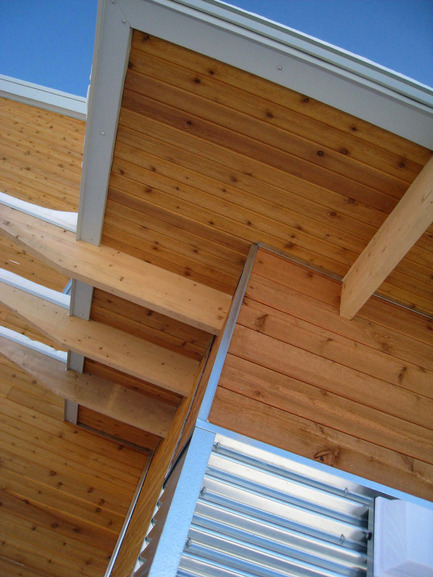 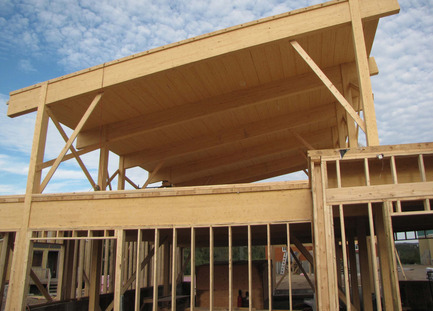 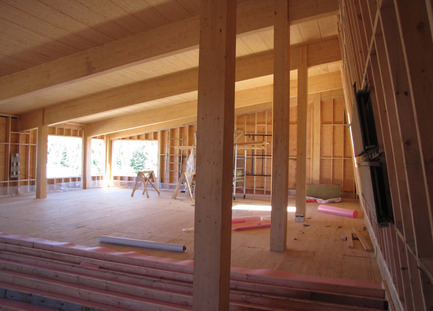 Wood is used for both the frame (glue-laminated black spruce) and the exterior envelope (red cedar cladding, pine substructure, and yellow birch panelling). 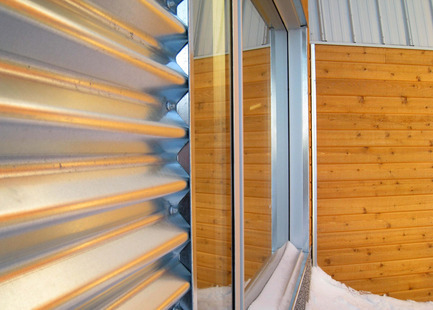 In addition, the integration of a double vestibule at each entrance reduces air exchanges and helps to conserve energy. 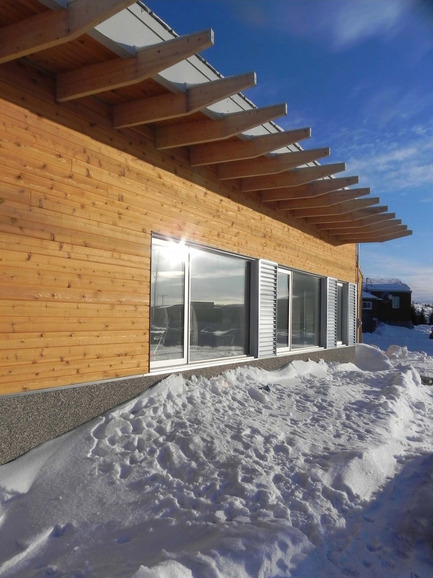 By choosing sustainable materials adapted to northern conditions and recognized for their ecological qualities, whose residues can be locally recycled, FGMDA is constantly expanding the limits of construction in the North. 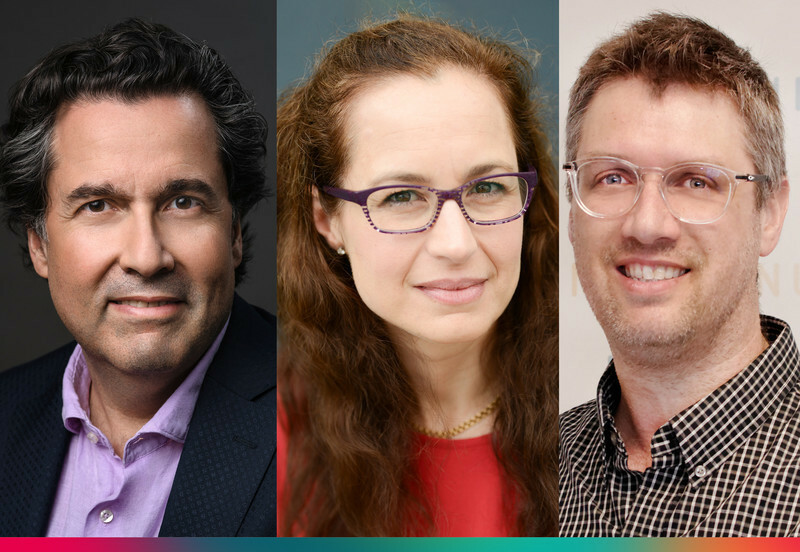 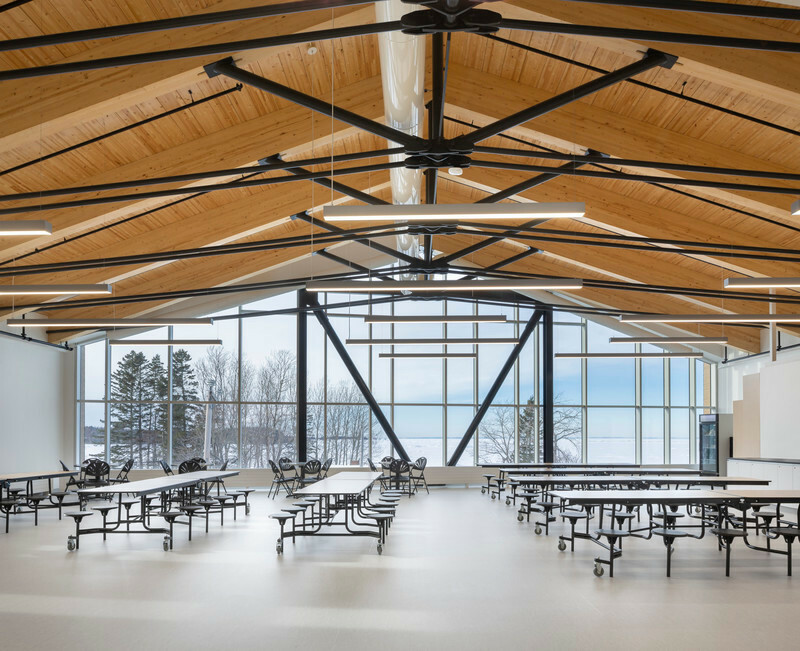 For 30 years, the architects of the firm Fournier Gersovitz Moss Drolet et associés architectes have been accumulating awards and experience in the Far North. 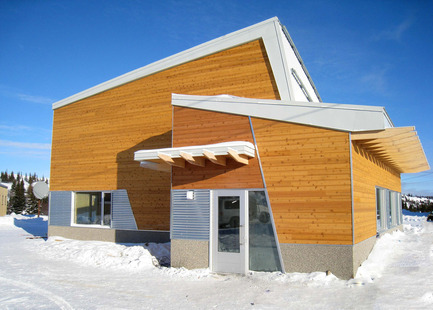 The Kuujjuaq airport, the first green building in Nunavik, certified LEED silver, received an honourable mention from Trophées Contech Innovation and an Award of Excellence from the American Galvanization Association (AGA) in 2008; in 2007, it received the Regional General Director’s Award given by Public Works and Government Services Canada and the Prix d'Excellence de la construction en acier from ICCA-Québec. 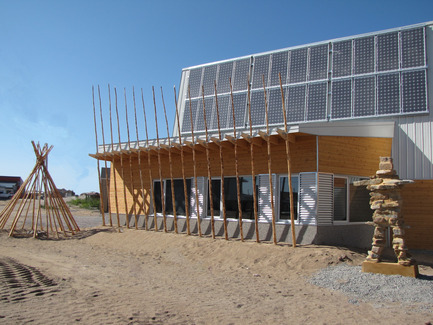 In June 2011, CEN’s new Community Science Centre was awarded the CECOBOIS award of excellence in the sustainable development category.